Choose your favorite Vinci & Rakos scent from the list of over 200 Parfums, featuring something for every man and woman to help satisfy their desires. 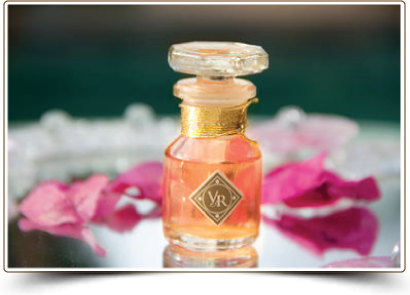 The Vinci & Rakos Parfums are full-bodied with no added alcohol. The Parfums have been arranged two ways, Alphabetically and by a combination of perceived Predominate Notes & Categories to help in the selection of a new scent. The Parfum categories and descriptions were based on years of working and listening to the comments, preferences and interpretations of my clients, as well as their memories. The sense of smell is very subjective and emotional, so no one will ever describe an aroma the same way, agree which category would apply or which notes are in the blends. The fragrance descriptions were written with these thoughts in mind, so many of the Parfums are listed in more than one category. If pertinent, a reference to a fragrance type on the market is also noted in the description. Each Parfum is packaged in a soft and reusable, organza drawstring bag. The Parfums are packaged in traditional glass bottles with screw on caps in smooth black or shiny gold. The Parfums are presented in soft and reusable, organza drawstring bags. 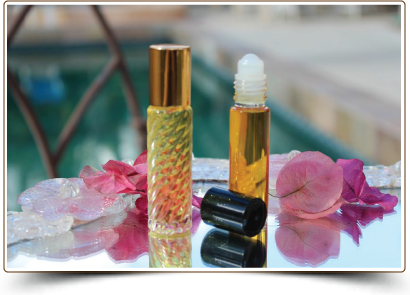 The Roll On Parfums are packaged in two styles of glass bottles, crystal swirl with a gold/copper metal cap or a smooth finish with a black cap. 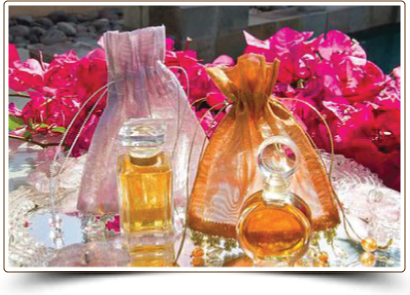 The Roll On Parfum you choose will be presented in a soft and reusable, organza drawstring bag. 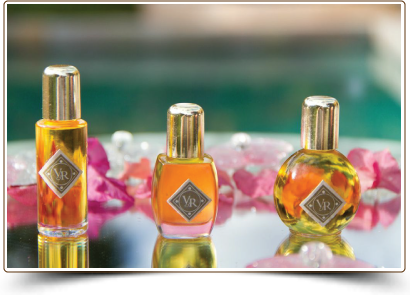 The Parfums are packaged in the Vinci & Rakos Classic Stopper Bottle. The bottle is the original glass stopper bottle from Europe introduced at the Who Makes Sense? boutique in Los Angeles 25 years ago. The Classic Parfum bottle is presented in a soft and reusable, organza drawstring bag. Dolores loves parfum bottles and has been collecting for years. 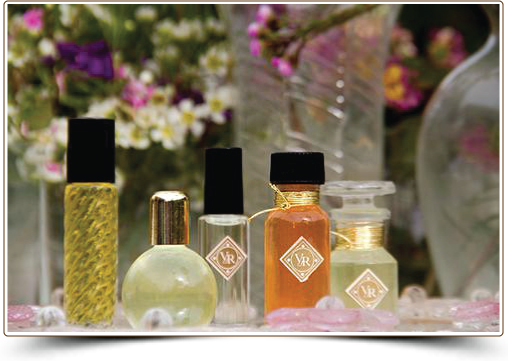 Many of her clients also collect so she is offering her Parfums in Limited Edition bottles. Choose your favorite fragrance and the size bottle that you prefer. All of the Limited Edition glass stopper bottles are from Europe, and packaged in soft and reusable, organza drawstring bags decorated with clear, glass beads.